Stem cell-derived neuron. 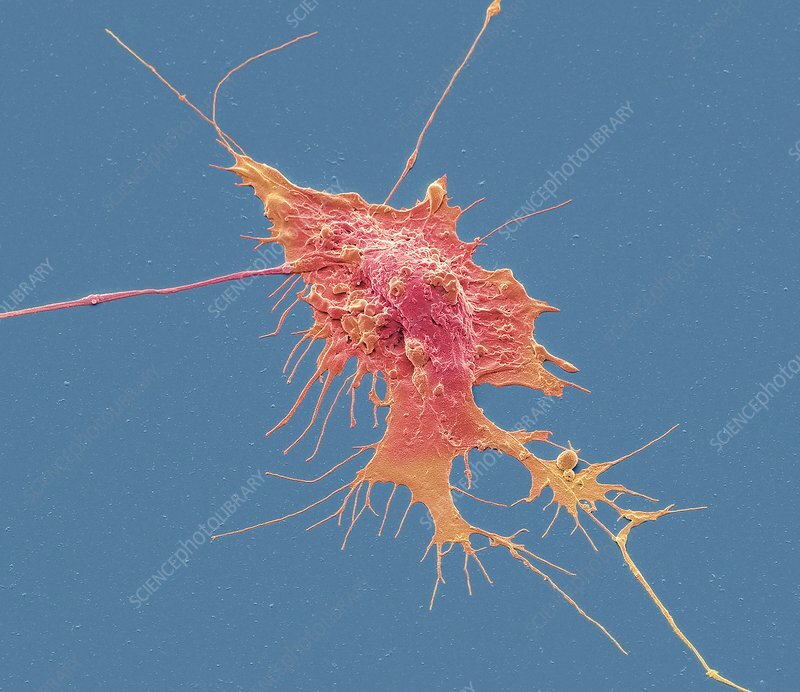 Coloured scanning electron micrograph (SEM) of a human nerve cell (neuron) that has been derived from an embryonic pluripotent stem cell (ES). Pluripotent stem cells are able to differentiate into any of the 200 cell types in the human body. The type of cell they mature into depends upon the biochemical signals received by the immature cells. This ability makes them a potential source of cells to repair damaged tissue in diseases such as Parkinson's and insulin-dependent diabetes. Magnification: x2000 when printed 10 centimetres wide.